Reddit managed to get most of our online news space in the previous weeks after the abrupt departure of Victoria Taylor. Taylor acted as the main facilitator for Ask Me Anything (AMA) sessions and was one of the most prominent employees of the company. While Taylor refused to give out any details, it was believed that she wasn’t okay with the commercializing of AMAs that the management was interested in. With stark opposition from Reddit communities who shut down several of the site’s most popular sections, today comes the big news that Ellen Pao, Reddit’s Chief Executive, is leaving the company. It is not only the Taylor’s firing that has fueled the fires in the forever-polar worlds of Reddit. Pao wasn’t a very favorite personality of Reddit and has remained a target of Reddit users’ wrath since her taking up the position. Pao changed the company’s harassment policies banning as many as five communities devoted to hate for fat people, transgender people and other groups. This was taken by the Reddit community as an attack on freedom of expression. Pao has since been taking the toll for her outspoken stance on harassment from the community. However, things got a little serious when the news of Taylor’s sudden departure hit the Reddit communities. 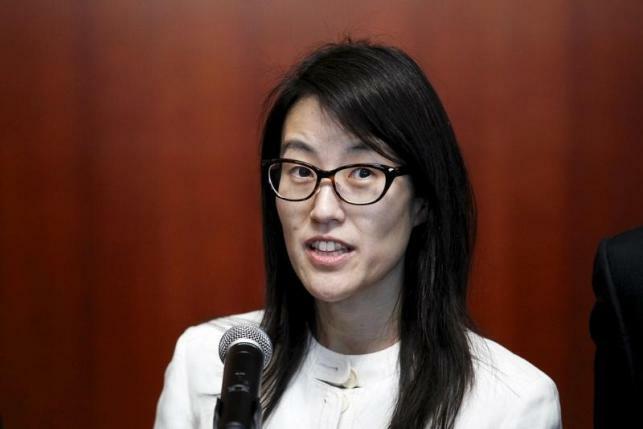 As many as 213,000 people signed up a petition to fire Pao who later apologized to the communities admitting that the “mods and the community have lost trust in me and in us, the administrators of reddit.” Steve Huffman, Reddit’s co-founder has taken over the site immediately. Ellen Pao resigned from reddit today by mutual agreement. I’m delighted to announce that Steve Huffman, founder and the original reddit CEO, is returning as CEO. We are thankful for Ellen’s many contributions to reddit and the technology industry generally. She brought focus to chaos, recruited a world-class team of executives, and drove growth. She brought a face to reddit that changed perceptions, and is a pioneer for women in the tech industry. She will remain as an advisor to the board through the end of 2015. I look forward to seeing the great things she does beyond that. We’re very happy to have Steve back. Product and community are the two legs of reddit, and the board was very focused on finding a candidate who excels at both (truthfully, community is harder), which Steve does. He has the added bonus of being a founder with ten years of reddit history in his head. Steve is rejoining Alexis, who will work alongside Steve with the new title of “cofounder”. It seems likely that Reddit made the decision of letting go of Pao after such a revolt from the communities. However, both Pao and the management at Reddit claim that the decision has been mutual. Expect to see a lot of jubilation over at the Reddit communities all this weekend!